Light a grill and oil the grate. 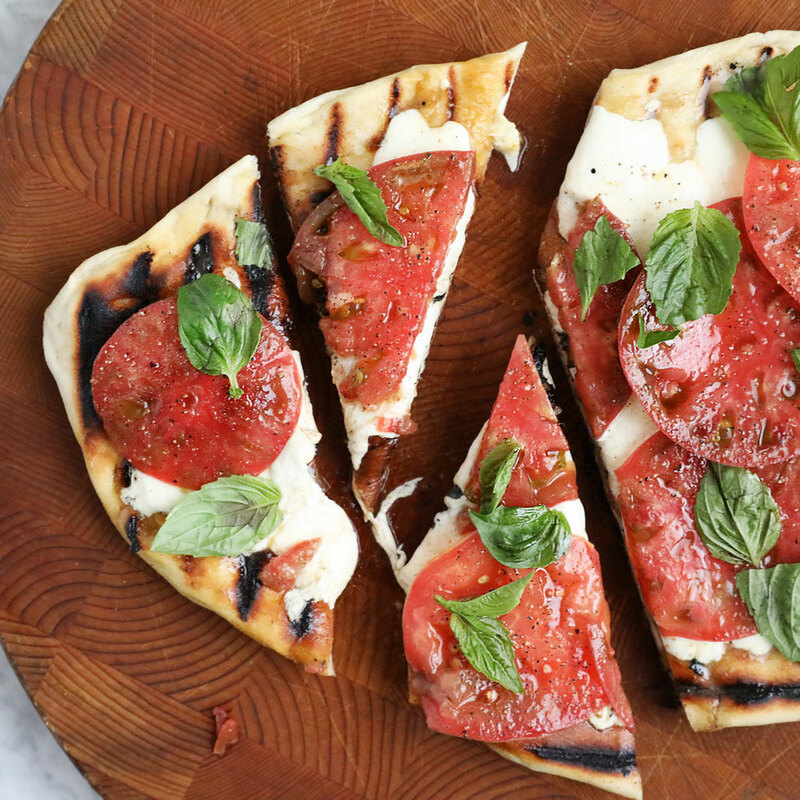 Spread the tomato slices on a platter and top with the 1 tablespoon of olive oil and the garlic. Season generously with salt and pepper. On a lightly oiled large baking sheet, stretch 1 ball of pizza dough to a 12-inch oval or round and brush with olive oil. Grill the dough over moderate heat until lightly charred on the bottom, 2 to 3 minutes. Flip the crust and scatter half of the mozzarella on top. Close the grill and cook until the cheese is melted and the crust is firm, 3 to 5 minutes. Transfer to a large board and top with half of the tomatoes. Sprinkle with salt and pepper. Garnish with torn basil. Repeat with the remaining dough, mozzarella, tomatoes, seasoning and basil. Cut the pizzas into wedges and serve.